Rob|Arch 2016 takes place in Australia, one of the current hotspots in robotics in the creative industry. The University of Sydney, Faculty of Architecture, Design and Planning combines a diverse range of disciplines from Architectural Science and Technology, Urban Planning, Regional Planning, Design Science, Audio and Acoustics, Building Services, Illumination Design and Sustainable Design, Heritage Conservation to the Interaction Design. Its Architectural Robotics Lab is formed around research efforts involving robotics in architecture, art and design. Staff members from across the faculty in Architecture, Architectural Science and Design Research are involved in the lab together with PhD and Masters researchers conducting independent studies and graduate and undergraduate students engaged in design studios and research projects. Research projects being undertaking in the Architectural Robotics Lab include: manufacturing of acoustically efficient geometries; 3D printing of ceramic structures and sustainable aggregate materials; onsite fabrication composite structures for freeform construction; exploration of digital stereotomy for sandstone construction; machine learning for the assembly of non-uniform materials; inspection drones for surveying and monitoring heritage sandstone architecture; intrinsically motivated creative robotics; and, many-to-one human-robot interactions for crowded social environments. These research activities are supported by the extensive infrastructure provided by the Design, Modelling and Fabrication (DMaF) Lab, which includes KUKA industrial robot arms (KR60-3, KR10 R1100, KR6 R900), CNC milling and routing machines (Tormach PCNC 1100, Multicam 1200×2400), vacuum former, 3d printers, laser cutters and well-provisioned wood and metalastics labs. Dagmar Reinhardt is the co-chair of the ROB|ARCH2016, a practising architect, Program Director of the Bachelor of Architecture and Environments and Leader of the Master of Digital Architecture Research at the Faculty of Architecture, Design and Planning, The University of Sydney. Reinhardt’s research extends architectural performance and performativity towards design research and cross-disciplinary practice with audio-acoustics, and structural engineering. Her work focuses on engineering the acoustic behaviour of curved geometries through generative design and robotic fabrication, and in choreographing relationships between kinect sensing, fabricated materiality, and body movement. Her work with biome explores the mathematical language shared between scripting, sound/music, digital fabrication, interaction design and architecture (www.biome.cc). Her architecture practice reinhardtjung produces building projects, installations, curatorial work, research, publications, lectures and exhibitions in Europe and Australia, has been widely published, and received numerous awards (www.reinhardtjung.de). 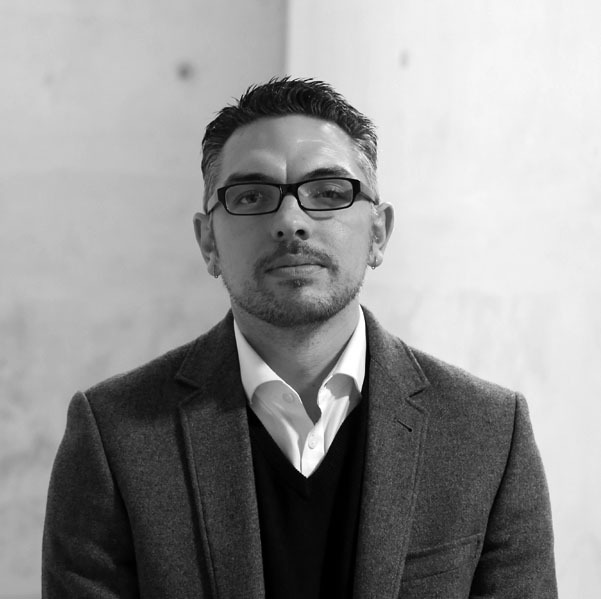 Rob Saunders is the co-chair of the ROB|ARCH2016, and Acting Head of the Design Lab in the Faculty of Architecture, Design and Planning at the University of Sydney. 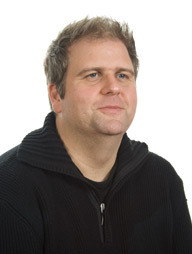 Rob’s research centres around creative application of computing, the computational modelling of creativity and the development of creative robotics. Using techniques from machine learning he has explored the role of curiosity in creative processes and developed models of creative systems at individual, social and cultural levels. His models of curious design agents have demonstrated useful abilities for autonomous design systems, including problem-finding and open-ended exploration. His models of social creativity exhibit emergent dynamics including clique formation and fashion cycles. 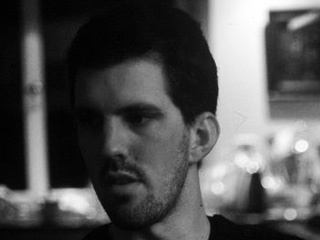 Rob works with artists and designers across a range of disciplines to support and engage in the creative application of computing and robotics and has applied his research in the development of design customisation systems, smart environments, interactive installations and robotic artworks. Marjo Niemelä is the manager of the Design Modelling and Fabrication Lab (DMaF Lab) in the Faculty of Architecture, Design and Planning at the University of Sydney. The Finnish-born, architecturally trained furniture and fabrication expert has guided the development of the Faculty’s robotics and digital fabrication programs. The breadth and extent of facilities and expertise in the faculty today is a testament to her commitment to the importance and integration of fabrication across the numerous programs offered by the Faculty. The CRL is joined by the The Australian School of Architecture & Design (ASA + D), the built environment school in Australia with a complete range of professional disciplines including Architecture, Interior Architecture, Planning, Landscape Architecture, Architectural Computing, Industrial Design, Construction Management and Property Development. Mari Velonaki is a researcher in the field of social robotics and interactive art. In 2003 she was awarded a PhD in experimental interface design (UNSW). 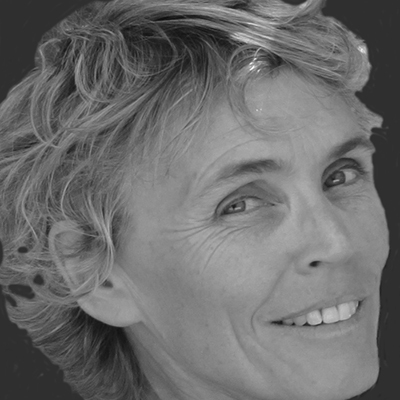 Mari’s research expanded to robotics, when she initiated and led a major Australian Research Council (ARC) project ‘Fish–Bird’ (2004-07) at the Australian Centre for Field Robotics (ACFR). She founded the Centre for Social Robotics in 2006 within ACFR. In 2007 she was awarded an Australia Council for the Arts Fellowship, and in 2009 an ARC Fellowship and a Discovery (2009–13.) In 2014 she was awarded an ARC LIEF grant for the creation of a National Facility dedicated to Human Robot Interaction research. 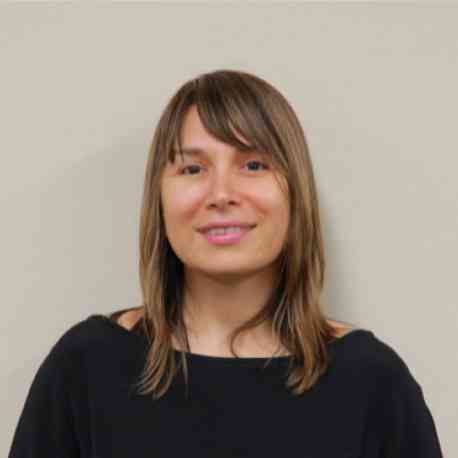 Mari is the director of the Creative Robotics Lab, NIEA/UNSW and an adjunct Associate Professor at the ACFR. 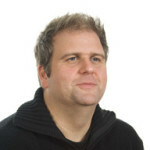 Hank Haeusler is the Discipline Director of the Computational Design degree and Senior Lecturer in the Australian School of Architecture + Design at the University of New South Wales, Sydney, Australia. 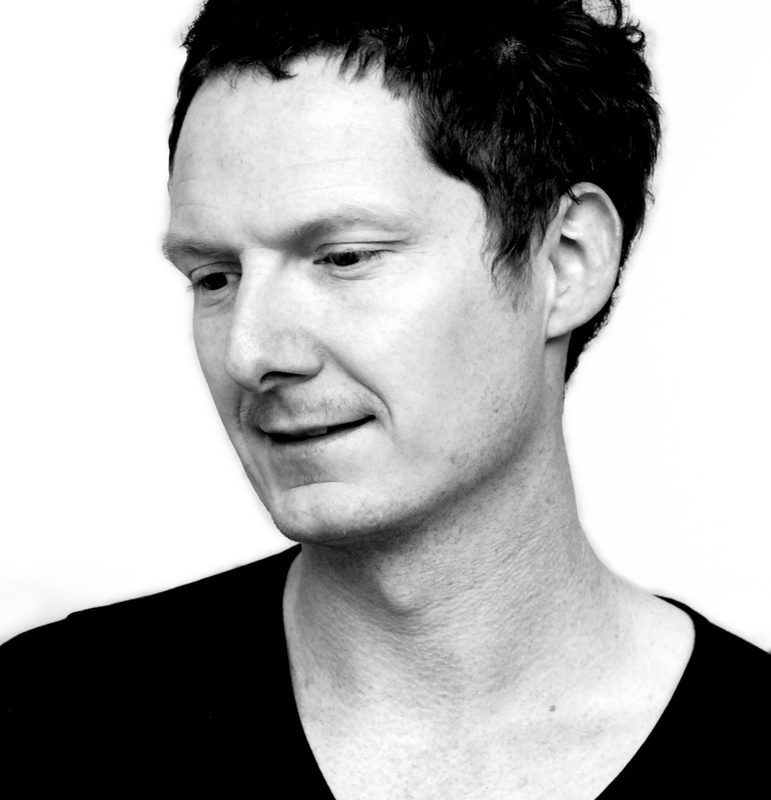 Haeusler is known as a researcher, educator, entrepreneur and designer in media architecture, digital technology, interaction design and ubiquitous computing and author of seven books; several book chapters and conference papers. He has taught and lectured in Europe, Asia, North America and Australia at several universities and conferences and is board member of the Media Architecture Institute, Vienna / Sydney. The Abedian School of Architecture, Bond University, Gold Coast, Australia, was founded in 2011, offering a professional degree program in architecture with an emphasis upon a progressive design education biased toward research through making. From the inception of the School, it has been equipped with digital fabrication output capabilities. In 2014, the School opened the Architecture Robotics Lab – featuring an ABB IRB6640 on a 4.3m track. The lead researcher in robotic fabrication is Assistant Professor Jonathan Nelson, and the first 6 months of the lab’s existence was highlighted by visiting professor Andrew Kudless from CCA/Matsys. 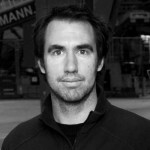 Chris Knapp is an Assistant Professor of Architecture at the Abedian School of Architecture, Bond University (Queensland, Australia), and also a Director of the design and fabrication practice, Studio Workshop. 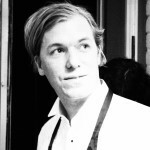 Chris has a Bachelor of Science in Architecture from the University of Michigan and a Master of Architecture degree from Princeton University. He is currently a doctoral candidate at RMIT. Chris formerly lectured at the Taubman College of Architecture and Urban Planning. 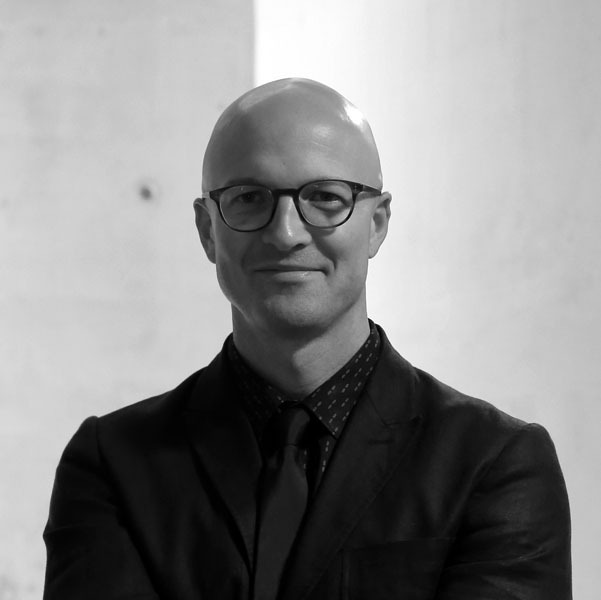 Jonathan Nelson is an Assistant Professor of Architecture at the Abedian School of Architecture, Bond University (Queensland, Australia), and also a Director of the design and fabrication practice, Studio Workshop. He holds a Master of Construction Practice from Bond and a Bachelor of Architecture from the University of Oregon. His background includes work as a software developer at Autodesk and private practice in San Francisco. 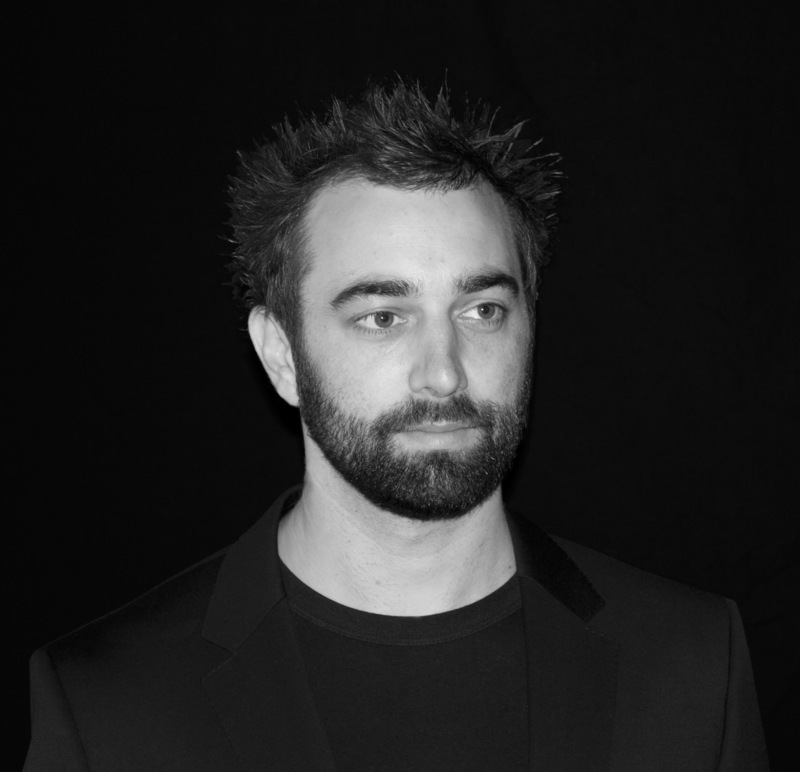 Jonathan is currently a doctoral candidate at the University of Sydney, and director of the Architectural Robotics Lab at the Abedian School. Both with Mounting plates for custom tables and compact controller (no multi-move capability) 1180 x 1180 stationary tables (2x)10mm alumnium gridded with M8 holes at 59mm O.C. Auto Tool Changers For large robot, with universal mounting plates. RMIT is a global university of technology and design. It has outstanding facilities to support its expertise in design, engineering and creative practice including the Design Hub and the Advanced Manufacturing Precinct on its inner Melbourne City Campus. The RMIT University School of Architecture and Design delivers multidisciplinary, innovative, creative and applied scholarship in architecture and design-related areas that include, architecture, landscape, urban design, interior, industrial, spatial information architecture, furniture and retail design. Programs range from certificate through to PhD levels, are backed by industry, taught by leading architects, designers and industry leaders. Globally recognised for design excellence, RMIT Architecture and Design develops its research through the process of designing and putting designs and ideas into practice. The RMIT Architectural Robotics Lab is an applied research group that explores the application and implications of robotics to architectural design, building fabrication, assembly and construction. The lab operates to develop both speculative research and the application of that research to industry projects. The lab is situated within RMIT University’s d_Lab and operates from the Design Hub. Jane Burry is an architect and Associate Professor in the School of Architecture and Design, RMIT University, Melbourne, Australia. 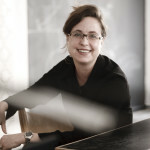 Jane directs the Spatial Information Architecture Laboratory (SIAL), a transdisciplinary design research laboratory and is program director for the Master of Design Innovation and Technology. Her research focus is mathematics in contemporary design. Jane is lead author of The New Mathematics of Architecture, Thames and Hudson, 2010. She is also engaged in research into the relationship between architecture and advanced manufacturing, and the integration of analysis feedback in early design and its intersection with interactive physical and digital architecture (Designing the Dynamic, Melbourne Books, 2013). She has over eighty publications and has practiced, taught and researched internationally. 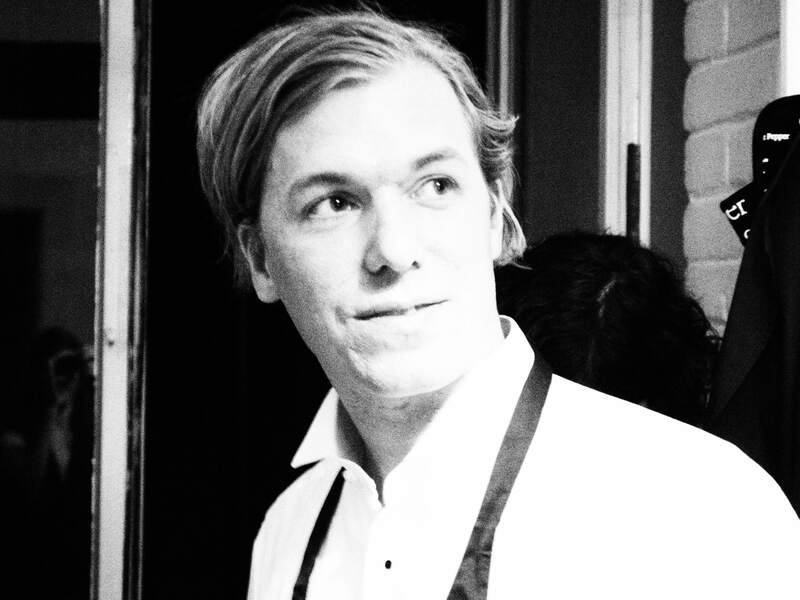 Nicholas Williams is an architect and researcher based at RMIT, Melbourne. 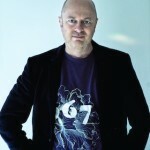 He has studied and practiced in Melbourne, London and Zurich, winning a number of prizes for his design work. His practice addresses ways in which architectural design can better connect with the industrial context of contemporary manufacturing. In particular this seeks expanded access to manufacturing technologies to enable design-led innovation. Current projects engage a series of industry partners and address robotic techniques for customised componentry, tuning architectural acoustics through design, and applications for large scale timber and additive manufacturing in construction. Dave is the co-director of supermanoeuvre and Director of the Master of Advanced Architecture program at the University of Technology, Sydney. Dave was a project team leader for Studio Daniel Libeskind and has taught at Columbia University and the Pratt Institute, New York; the Architectural Association, London; Princeton University; TU Delft, the Institute of Advanced Architecture Catalunya and many others. Two Monash faculties are supporting the conference, the Faculty of Art, Design and Architecture (MADA) & Faculty of Information Technology. MADA is a place of innovation across art, architecture and design. The faculty fosters a spirit of enquiry and collaboration, and is widely respected for its excellence in education, practice and research delivered by creative professionals, leading practitioners and renowned researchers. The Faculty of Information Technology is staffed by Australia’s largest collection of researchers in computing and Monash is consistently ranked as one of the top Australian universities for IT research. A major new initiative from the faculty is sensiLab, a new-concept research hub, dedicated to trans-disciplinary research in visualisation, interaction and digital fabrication. Building on popular concepts such as makerspaces and hacklabs, the lab includes facilities for electronics design and prototyping, app development, high definition video, sound, and interaction design. Based in the Faculty of Information technology, but connected with researchers from design, architecture, arts and engineering, sensiLab provides an agile workspace for the collaborative research of the 21st century. 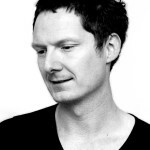 Tim Schork co-founded the transdisciplinary design practice Mesne Design Studio and he is currently a lecturer in the Department of Architecture at Monash University, where he is the founding director of the MADA Materials and Processes Laboratory and a Guest-Professor at Kassel University where he leads the Chair for Digital Design Techniques. He received his PhD from RMIT University in 2013 for his research on the transformative effects and contributory role of integrative computational design strategies on the practices of architecture. His research investigates the progressive integration of computational design and simulation techniques with contemporary digital fabrication processes and material technology in terms of their architectonic, constructive, economic and ecological potential. His research focuses primarily on novel design, construction and building processes, materials as well as customised production and digital fabrication. Internationally renowned for his design excellence and explorative, creative and innovative work, his research links diverse disciplines, researchers, institutions and places and combines a sophisticated design philosophy with advanced technology in order to create novel design solutions that address contemporary social and cultural agendas. 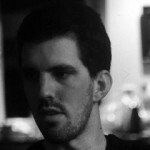 Jon McCormack is an electronic media artist, theorist and researcher in computing. 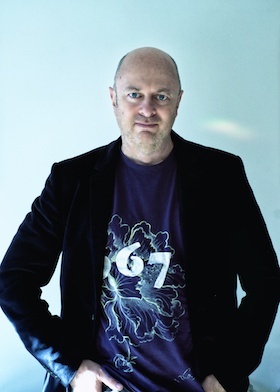 Since the late 1980s McCormack has worked with computer code as a medium for creative expression, developing a series of highly awarded generative artworks and media installations that have been widely exhibited at leading galleries and museums worldwide. He is currently Professor of Computer Science, an ARC Australian Research Fellow and director of sensiLab at Monash University in Melbourne, Australia. His research interests include generative art and design, evolutionary systems, creative systems, visualization and virtual reality, interaction design, machine learning and developmental models. Wide range of electronics prototyping and development: sensors, microcontrollers, wearables, low-power CPUs, etc.